Tuningpresse - das unabhängige Presseportal zum Thema Tuning und Fahrzeugveredlung: TZ – The New ECE Double Spokes by DEZENT. Five double spokes, a high load up to 810 kg per rim, three colour variations and absolutely free of approval thanks to ECE. These are the key parameters of the new DEZENT flagship. The new DEZENT TZ is a universal, trendy double spoke that matches a wide range of car models, not only design-wise. 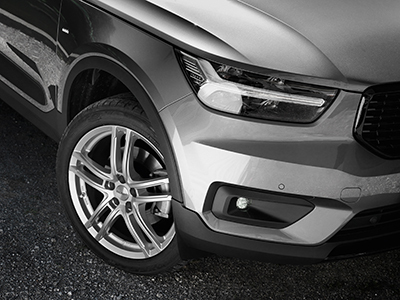 Due to the abundance of ECE applications, the light alloy wheel is technically versatile and easy to use. In addition to that the variant DEZENT TZ-c has been specially designed and constructed for cars bearing the propeller logo. 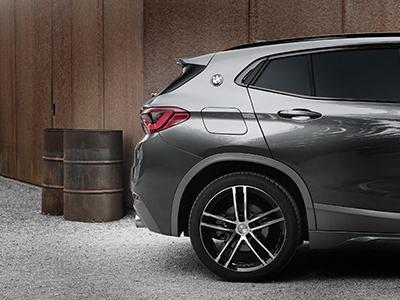 The alloy rim is the perfect technical fit for the BMW 5 Series, the BMW 6 Series and the BMW 7 Series. Car-specific wheels is the keyword here – original manufacturer fixtures and hub caps can be used. With the three colour variations black front-polished, graphite matte and classic silver, the rim is a true quick-change artist. The spokes alignment is well-balanced and the recessed centre area further enhances the spokes pairs. The application possibilities for cars with 4- and 5-hole attachments range from 15 to 19 inches. The sporty elegance of the DEZENT TZ provides cars such as VW Golf, Passat, T-Roc and Tiguan, Skoda Karoq and Kodiaq, Audi A4 Avant, Q3 and Q5 as well as the Mercedes C-Class models with an additional eyecatcher. The DEZENT TZ-c is available for numerous BMW models with 5-hole attachment and 112 pitch circle diameter in the dimensions 7.5x17 and 8.0x18 inches. In addition to the above mentioned ECE approval, the German quality manufacturer DEZENT offers VTA certifications for a number of other models. Whether ECE or VTA, both save car owners the hassle of registration. 100% technically verified. Easy to install and a perfect alternative to pricier original rims. In short: Fit your rims and drive off! DEZENT car-specific wheels are rims especially developed for a desired car. When using these rims, no centring rings are required for installations. In most cases, the car-mounted original fixtures and hub caps of manufacturers can be used. ECE approval corresponds to VTA in character while it is also applicable all over Europe. A TÜV inspection or a registration into car documents is not necessary as the specifications of the replacement parts correspond one-to-one to the manufacturer’s original parts. The advantage over VTA: no need to carry any documents. 100 % technically approved. Easy to install and a perfect alternative to more expensive original rims.